Many of you have said that you are not sure if you have a sleep problem. 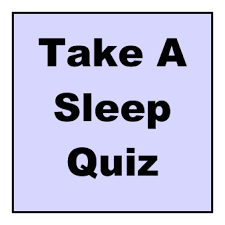 Take our quick quiz and find out if you might need to fix your sleep. Can you say yes to any of the following? * Do you have trouble falling asleep? * Do you have difficulty waking up? * Do you get less than 8-9 hours of sleep? * Do you wake up once or more during the night? * Do you sleep in a room with any light or noise? * Do you wake up feeling tired? * Do you wake up only with an alarm? * Do you go to bed later than 11pm? * Do you wake up earlier than 6am? * Do you take medication to fall asleep? If you answered “yes” to any of these, you need some answers. If you answered “yes” to 4 or more, you may have a sleep problem and not even be aware of it. Don’t worry…these are all fixable! Long-term health depends on the regeneration that occurs during deep sleep. Growth hormone, or the “anti-aging” hormone, is secreted during sleep, and stimulates tissue regeneration, liver cleansing, muscle building, break down of fat stores and normalization of blood sugar. During sleep, free radicals are scavenged in the brain, minimizing their aging effects. Numerous health problems are aggravated by inadequate sleep. Effective and restorative sleep gives us renewed vitality, a more positive outlook on life, and the energy you need to achieve your full potential. Please leave a comments with any questions that you may have.